2013 December 02: Holiday Giveaway Opportunity! Coffee-mate Creamers for the holidays! Holiday Giveaway Opportunity! 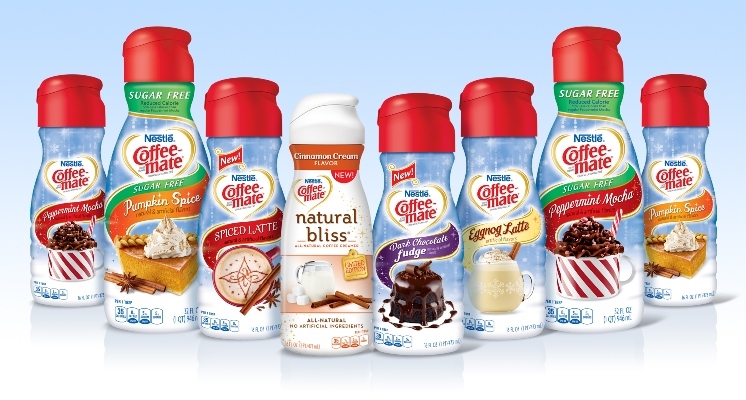 I love Coffee-mate Creamers so I”m always looking for their new flavors to try out! The Holiday flavors are usually my favorite so I was happy to receive free coupons to try a few out! I ran quickly to the store and scooped up Pumpkin Spice, Dark Chocolate Fudge and Peppermint Mocha! They are just delicious and great for first thing in the morning. My favorite is the Pumpkin Spice! Which one do you want to try? Let us know by leaving us a comment below! Three lucky winners will win a FREE coupon to try one of these yummy creamers! Deadline to enter is December 5th, 2013 at midnight. Three winners will randomly be selected from all entries. (U.S. residents only please) If you would like an extra entry, go to their Facebook page and “like” them. You can tell them we sent you! Happy Holidays!! Self Disclosure: I received FREE coupons to try out these products and to have a giveaway. Photo Credit: Coffee-mate. scünci® Hair Accessories! Great for holiday glam …or holiday gifts! Holiday Giveaway Opportunity! 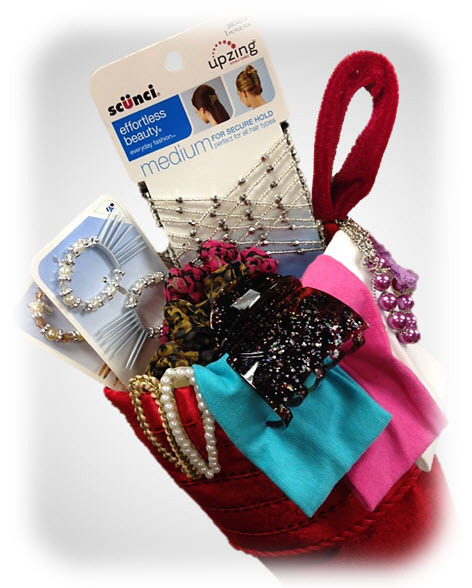 Glam up a holiday stocking with glittery, shiny hair accessories, add the final touch to holiday hairstyles or get creative and add a personal flare to holiday gifts by tying scünci® hair accessories with ribbon to packages or clipping them on to gift bags! After all, what girl doesn’t love adding to her stash of beautiful hair accessories? • scünci® No Slip Galaxy Jaw Clip- Raised grip which fuses with your hair to keep your style in place! The cushion hold is super gentle and effective. • scünci® No Slip Circle Pony Clip- Allows you to come full circle and achieve the all-day hold you know and love, with a new feel! • scünci® Bendini Clip with Jewel Dangle-Jewelry for your hair or bling for your holiday gift! scünci bendini clips add instant glam in just a bend and a snap! • scunci® Upzing- Create dozens of different hairstyles with scünci’s UpZing: two side combs connected with a intricate and decorative web of elastic to hold hair effortlessly. • scünci® Knotted Ponytailers- Add a pop of color to your hair, your wrist or holiday gift! • scünci® Expandable Headband with Iridescent Finish- Effortless beauty adjusts to all hair types and textures. I received the Bendini clip, knotted ponytailers and the expandable headband and loved trying them out! I think my favorite is the expandable headband! I love that it just folds up for on the go! I also like that it doesn’t pull on my hair and it’s fashionable! The Bendini clip is also easy to use and quite stylish and the knotted ponytailers are also great for on the go! The above scünci® hair accessories are available in mass market and drug stores nationwide for a suggested retail value of $2.99-$4.99. For more great styling ideas, hair accessory trends and scünci® giveaways, “like” the scünci® Facebook page and follow scünci® on Twitter. For more product information visit www.scunci.com. We have teamed up with scunci for a Holiday Giveaway! One winner will win either the Bendini Clip or the expandable headband. Let us know in your comments when you enter which one you would prefer! You must be a subscriber to enter! Next, go to the scunci Facebook page and “like” their page! Don’t forget to tell us in the comments which one you would like to win. Deadline to enter is December 8th, 2013 at midnight. One winner will randomly be selected from all entries. Self Disclosure: I received products for free to facilitate this review and giveaway.